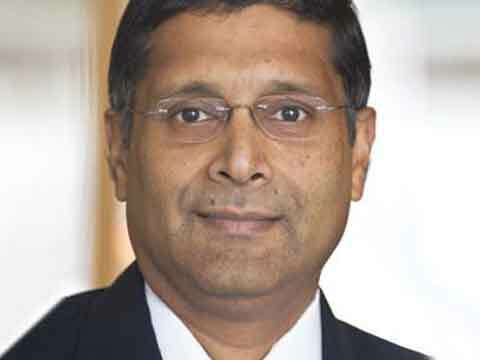 Former IMF economist Arvind Subramanian was today appointed Chief Economic Advisor in the Finance Ministry, says a PTI report. "For any economy like India, the two big things are macro economic stability and of course creating conditions for rapid investment and growth. While creating opportunity for all segments of Indian society, no one should be left out of this process," he told reporters after taking charge as CEA. An alumnus of IIM-Ahmedabad, Subramanian joins the Finance Ministry at a time when the government has started work for the 2015-16 budget which will be the first proper budget of the Modi government. The post of CEA has been lying vacant since Raghuram Rajan left the Finance Ministry to join the Reserve Bank as Governor in September last year. The Finance Ministry has prepared an interim budget and full fledged budget for 2014-15 without a formal CEA in office. A graduate from St Stephens College, Subramanian has been advising the Indian government in different capacities and has been a member of the Finance Minister's Expert Group on the G-20. He was Assistant Director in the Research Department of the International Monetary Fund and was associated with the GATT (1988-92) during the Uruguay Round of trade negotiations. Subramanian was the Dennis Weatherstone senior fellow at the Washington-based Peterson Institute for International Economics. How budget eyewear retailers are grabbing the attention of investors?